The VDFPGA Camera Reference Design is a full-featured set of FPGA logic, soft microprocessor programs, and client-side Linux GUI tools. It is permanently available under a GNU GPL v3 license and, if this license is not suitable for your specific needs, a relicensing option is also available. Documentation on how to create your own image processing module is also included. Raptor Engineering recommends the Falcon Sequencer for the ultimate ease in modifying the image processing chain. 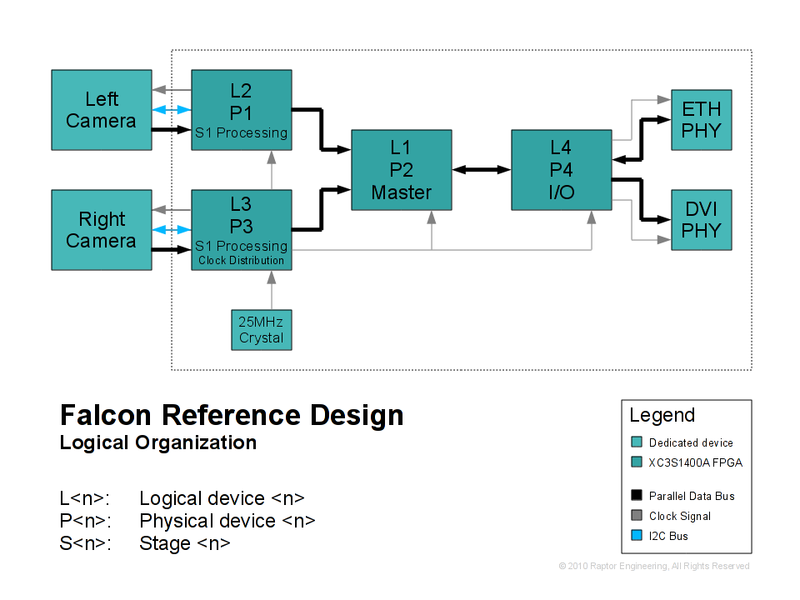 The VDFPGA Reference Design is compliant with version 1.0a of the VDCAM Bus Specification.